Situational awareness: July non-farm payrolls +157k and China plans higher retaliatory tariffs on around $60 billion in U.S. goods. There were won't be any profiles in courage written about bank analysts covering CBS. Yesterday's post-earnings call included not one single question about the future of CEO Les Moonves, even though he was on the call and is in the midst of being investigated for multiple allegations of workplace sexual harassment. Nor any inquiry into the boardroom battle with Shari Redstone, which could ultimately result in a merger with Viacom (or someone else). It was as if everyone in the neighborhood gathered outside of a burning house, but only talked about the lovely weather. 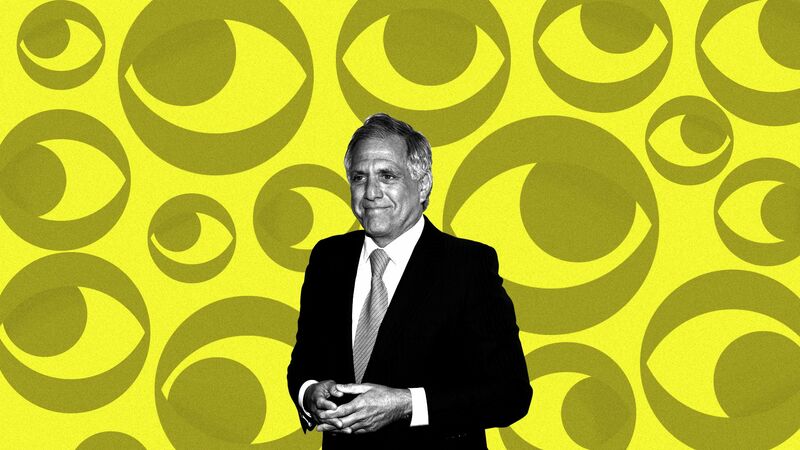 Moonves sounded upbeat, and CBS putting him out front suggests he'll get a very big benefit of the doubt. CBS did say at the outset that Moonves and CFO Joe Ianniello would only discuss financial matters, but that doesn't mean analysts couldn't at least probe around the edges of issues that are fundamental to the company's future. For example, here were a dozen suggested questions from media analyst Rich Greenfield (free sub req). And there was so much genuflection that I wondered if the analysts wanted to help investors or get a dinner invite to Chez Moonves. The conference call was such a stunner that Sara Fischer and I immediately hopped on the mics for a special edition podcast. Listen here. 🎙 Speaking of podcasts: Yesterday's regular episode was about Ivanka Trump's comments and actions in terms of the jobs skills gap (and how that intersects with tariffs). My guest was Axios' Jonathan Swan. Please subscribe via Apple or other podcast platforms. "Unlike the traditional investment markets, which are overseen by multiple government agencies, companies and funds dealing with digital tokens are largely left to self-regulate. This could leave retail investors unfairly disadvantaged without the same levels of information, and remain a hurdle to getting institutional investors comfortable with crypto-assets." • Money talks: Startup CEOs take home an extra $4k-$5k in cash salary for every million dollars their companies raise in venture capital, according to new data from startup accounting firm Kruze Consulting. The analysis of around 125 startups found median CEO salary of $130k (not including stock-based comp), with upper and lower salaries correlated to recent fundraising. Of seven industry categories, biotech startup CEOs had the highest salaries while e-commerce startup CEOs had the lowest. • Update: Word is that Duo Security was pretty far down the IPO path before yesterday's $2.35 billion sale agreement to Cisco, and that Cisco's initial approach was significantly lower. • Q&A: I spoke yesterday with Sonos CEO Patrick Spence, whose smart speaker company priced its IPO low but then closed up 33%. Topics included what he felt investors didn't understand at first, if Sonos ever plans to offer its own digital services and how its mission differs from Apple's. Read it here. Why it's the BFD: Because this is one of the venture world's highest-valued media startups, as the bikes (and, now, treadmills) are really delivery devices for low-churn subscription content. • Arlo Technologies, the San Jose, Calif.-based security-camera making unit of Netgear (Nasdaq: NTGR), raised $163 million in its IPO. The company priced 10.2 million shares at $16 (below $18-$20 range) and will trade on the NYSE (ARLO). BofA Merrill Lynch was lead underwriter. 🚑 Elanco, a Greenfield, Ind.-based animal vaccines business being spun out of Eli Lilly (NYSE: LLY), filed for a $100 million IPO (that’s likely a placeholder figure). It plans to trade on the NYSE (ELAN) with Goldman Sachs as lead underwriter, and reports $78 million on $2.9 billion in revenue for 2017. • M17 Entertainment, a Taiwan-based entertainment streaming company, withdrew registration for an $83 million IPO. This is the offering it postponed in June, at which time it blamed its underwriters, including Citi and Deutsche Bank, for an unspecified "settlement issue." 🚲 Alibaba and Didi Chuxing are considering a joint takeover offer for troubled Chinese bike-share company Ofo at a $2 billion valuation, per Reuters. It has raised over $800 million in VC funding from firms that include the two potential acquirers, plus DST Global, Coatue Management, Atomico, Matrix Partners China, Macrolink and CITIC. • Cerberus Capital Management completed its sale of Reydel, a maker of interior components to auto OEMs, to a subsidiary of India’s Motherson Sumi Systems. 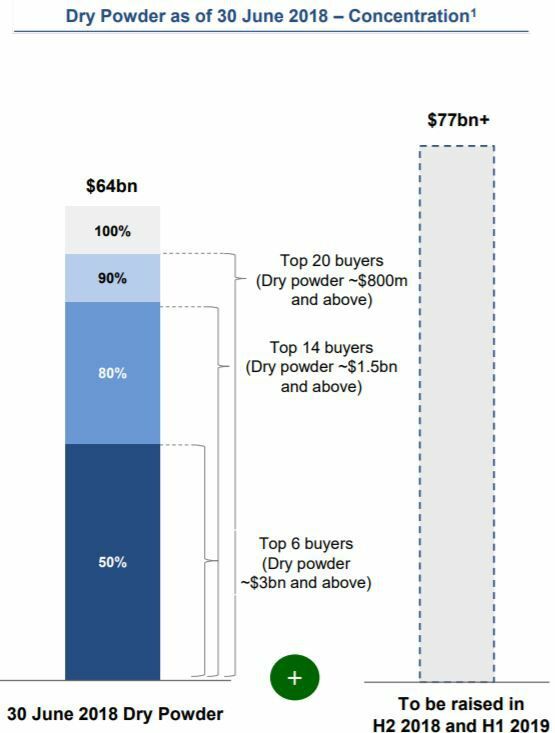 "The level of available dry powder in the hands of secondary buyers has decreased significantly since 2017 year-end from $77bn to $64bn as many buyers were able to finish investing their funds in the context of record deal flow This drop in dry powder looks set to be short-lived as buyers plan to raise a massive $77bn of capital in the course of H2 2018 and 2019, with many large buyers coming to the market with flagship funds."